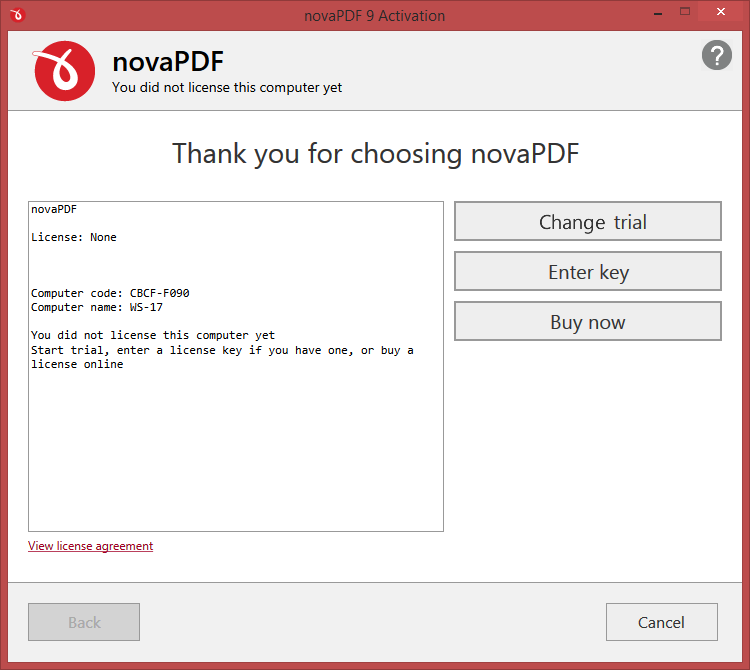 When you first start novaPDF the activation wizard window will be displayed, with the option to purchase the program (if you haven't already done so), activating it (if you've already purchased a license) or start a free 30 day trial. Before purchasing a license and activating it online you have the option of testing it for free. The trial version has the same features as the paid version and it will work for 30 days. 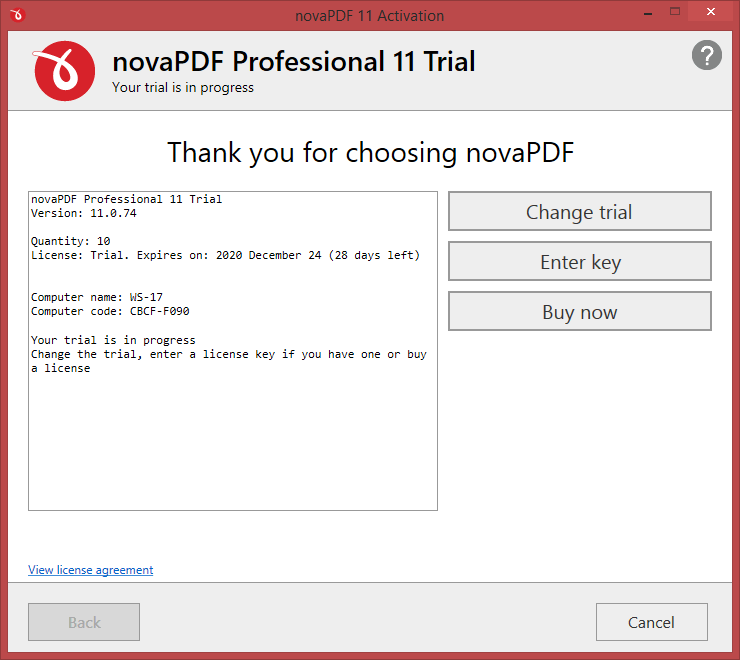 However, during the trial version, in the footer of each file of the PDF created there will be an extra-notice added. This notice doesn't show up in the paid for version. 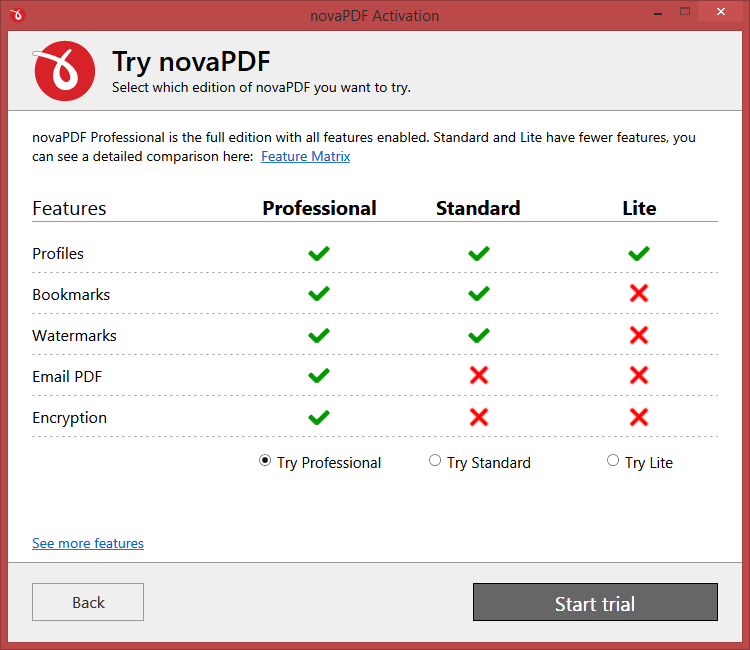 Press the Free trial button and select the edition of novaPDF you want to use. After that press Start trial. A message will appear that the trial started and the application will be restarted. During your 30 day trial you can change the edition you are testing. So for instance if you start the trial with Professional but during your tests you decide you don't need all the features, you can change the trial version to Standard and continue your tests. Changing the trial doesn't affect the try period. To change the trial version you must re-open the Activation window and click on the Change Trial button. From there you can select one of the other editions. When the trial expires, you must purchase a license to continue using it.